To glorify God by winning people to Jesus Christ and equipping them to be more faithful disciples of Him through fully understanding and applying the truth of God’s Word. 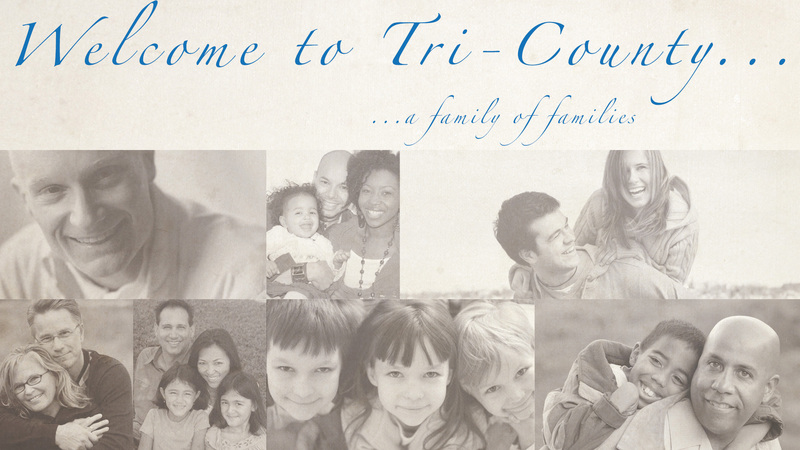 As a result of living, growing and sharing God’s truth we will see individuals and families changed into the image of Christ which will radically impact the culture of the Tri-County Community. Truth – God speaks the truth through His complete inspire, inerrant Word with absolute authority. Therefore, it always takes precedence over church traditions or trends, and human wisdom or desires. Truth is found in God and communicated to man through HIs Word, therefore, all claims to truth must be measured next to God and His Word. Both the unregenerate world and unsanctified Christians will oppose God’s truth. Love – God defined love in the sacrifice of His Son on the cross and expects every believer to reflect His love by serving and putting others first. God is love, and living out Christ-like love in our lives is a mark of salvation. Living out Christ-like love involves putting off strife an vainglory and, instead, humbly investing ourselves in the needs and desires of others. Evangelism – We are committed to communicating the gospel of Jesus Christ both personally and corporately. Because evangelism can be uncomfortable, we must humbly love others more than ourselves in order to have the necessary motivation to carry it out. Growth – God calls every believer to grow in righteousness after salvation. This growth is the gracious work of God whereby He enables the believer to progressively replace works of the flesh with the fruit of the Spirit. Spiritual growth is carried out through progressive sanctification, the lifelong process of the Holy Spirit making us more like Jesus Christ. This growth is not an OPTION but, rather, a COMMAND from God. Equipping – We will disciple believers with practical biblical knowledge and character to empower them for effective service. The motivation for being equipped through the ministry of the local church is the glory of God through faithful stewardship of the spiritual gifts that He has given to Christians. In order to be effectively equipped for God’s glory, we must be willing to evaluate our current state of preparedness and honestly discern what can and needs to be changed in our lives and in our preparedness. Service – God expects every believer to serve others in the local body with the spiritual gifts and talents He has given them. In order to faithfully serve others we must understand and believe in Christ and channel His attitude towards others into our own hearts. True service will require giving up my own rights and prerogatives and obediently choosing to serve others, just as Christ did. If we are willing to serve others now, God will exalt us in the future, just as with Jesus Christ.